Our Christmas Fortune Cookies contain traditional Christmas cracker style jokes and we print your own message on the reverse of the slip. 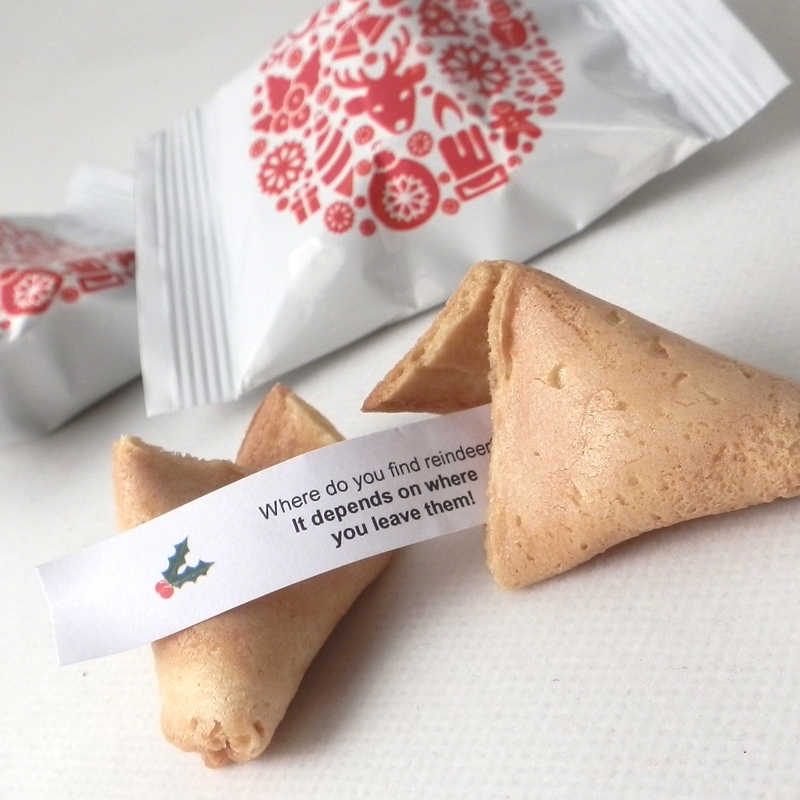 You tell us the message you want to put on the reverse of the slip inside your Christmas Fortune Cookies and we will bake them with your own special greeting inside. Perfect for unusual Christmas gifts and for corporate Christmas parties! 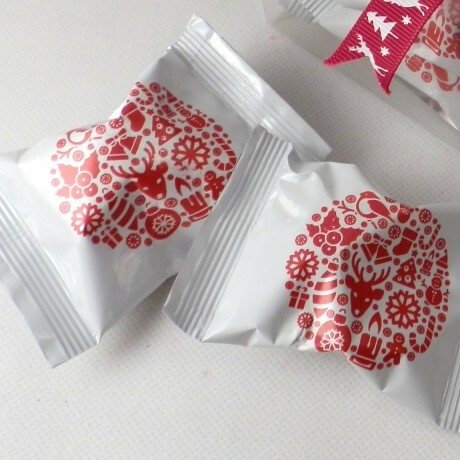 Each fortune cookie is individually foil wrapped in a white foil wrapper with a traditional Scandinavian Christmas design. 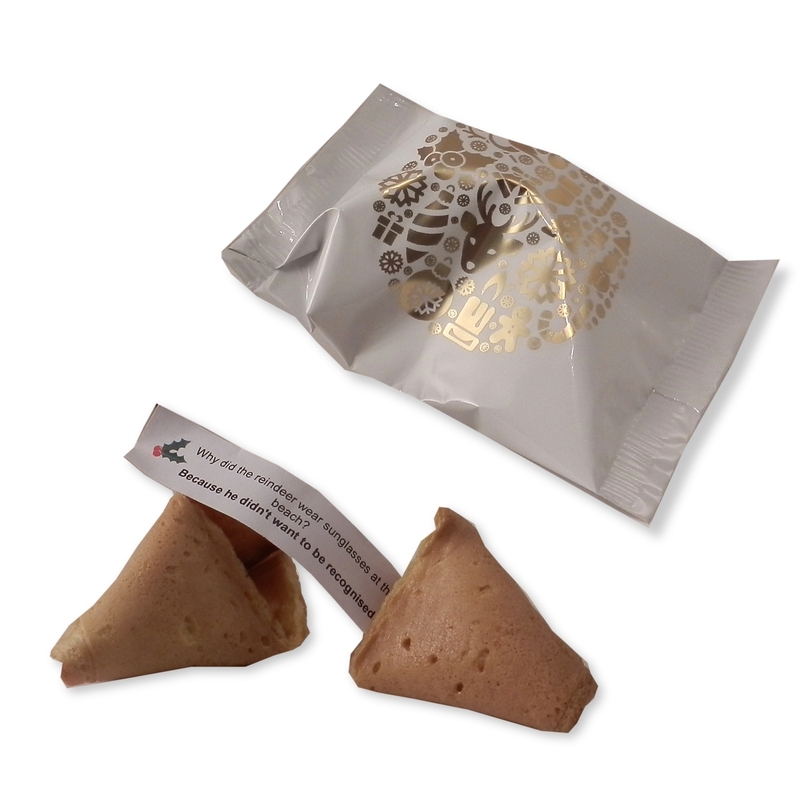 Choice of gold or red wrapper design. Message length: Your personalised message should have a maximum length of 120 characters and is printed across a maximum of three lines. Please ensure that you enter your message text correctly as we will print using these details - there is no option to change this once you have placed the order.